Meng Su’s performances and recordings have impressed the public with “an ability and artistry that exceeds her years.” (Baltimore Sun) Her debut duo CD “Maracaípe” received a Latin Grammy nomination for the titled piece, which was dedicated to the Duo by renowned guitarist/composer Sergio Assad. Their second CD, “Bach to Tan Dun,” a “must-listen” according to composer Tan Dun, has been widely noted for the world-premiere recording of his “Eight Memories in Watercolor.” A recording in trio, “China West,” with Maestro Barrueco and the Beijing Guitar Duo was released in May 2014 to critical acclaim. 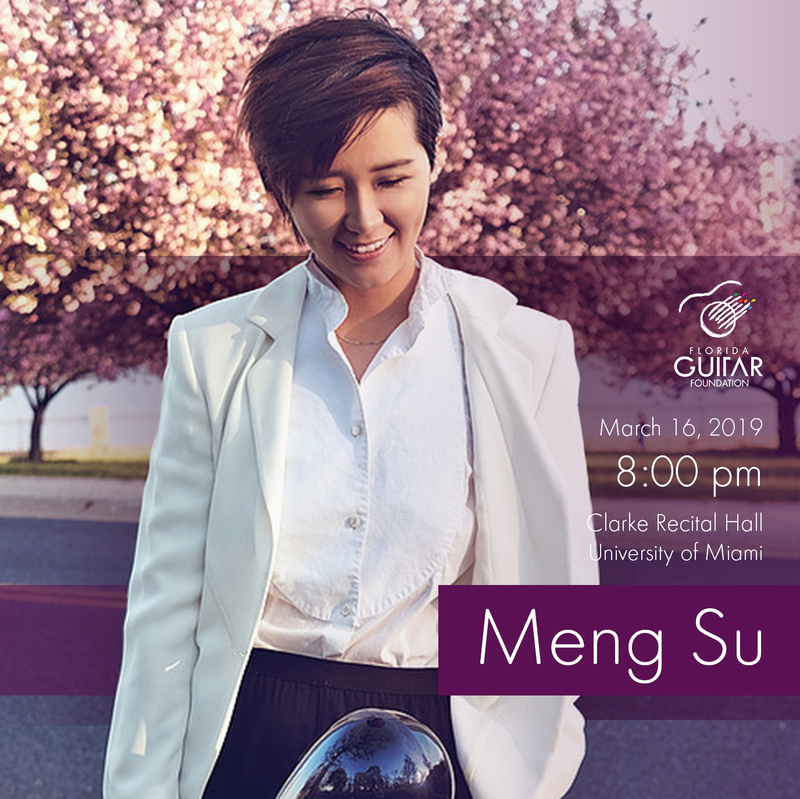 Meng Su’s debut solo recording “Meng,” released in 2016 was called “awe-inspiring” and “this year’s finest debut by far” by Classical Guitar Magazine.